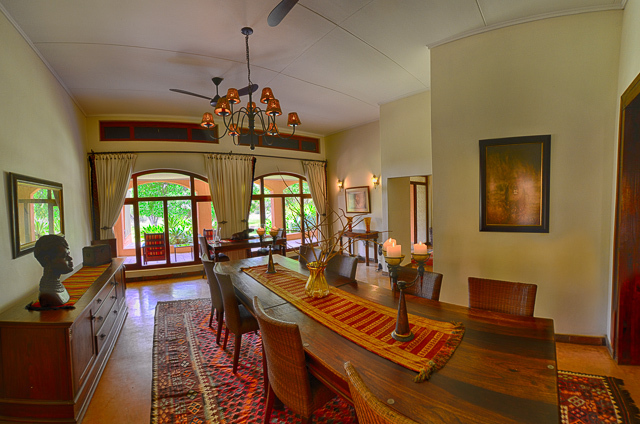 The Bush House - not your typical game lodge! 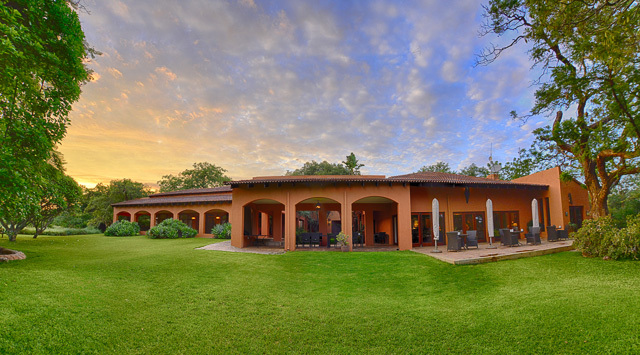 The Bush House is situated on the Western side of Madikwe Game Reserve. The best way to enter the reserve to access The Bush House is through Wonderboom Gate, which is only 300m from the lodge. 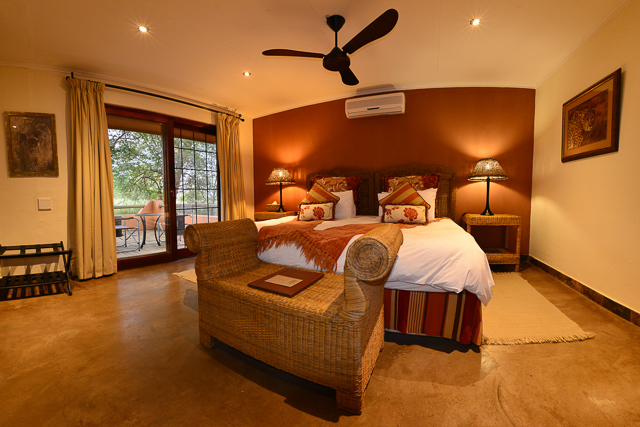 The lodge dates back to 1916 - it was one of the original farmhouses in the area; this beautiful old farmhouse has been lovingly transformed by owners Gordon and Sue, into a comfortable and relaxing Bush House Lodge. 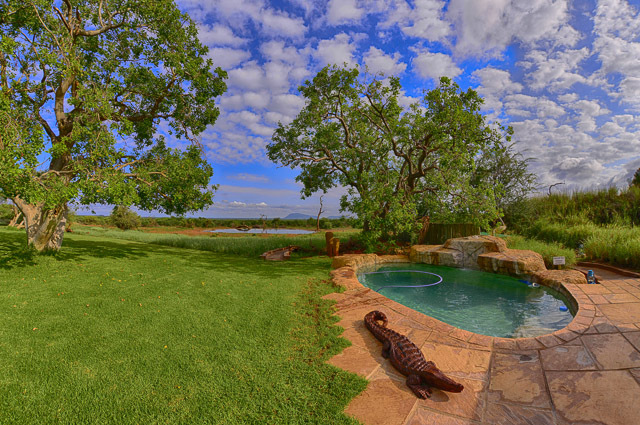 On arrival the first thing we noticed was the lush green lawns that transport your eyes to the gorgeous floodlit waterhole in front of the lodge. The lawn is dotted with large trees that provide inviting shade for guests and homes to the many birds and insects. After Audrey warmly welcomed us to The Bush House and after our welcome drinks, it was time to explore our surroundings. 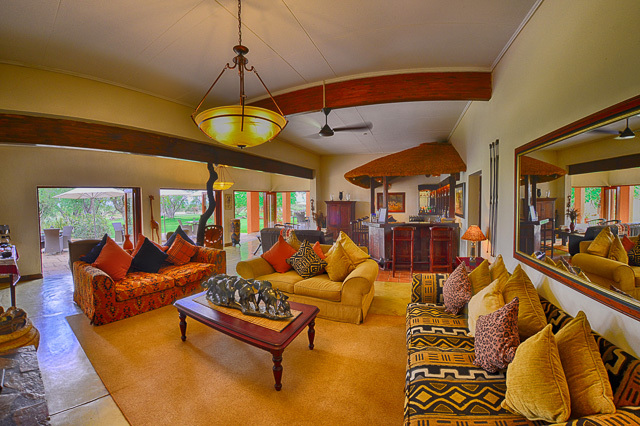 As you enter the lodge there is a small well stocked curio shop and office, then you enter the main lodge from the patio through folding doors that leads into a large comfortable lounge with two seating areas, one near the bar and the other near the fireplace. An all-day tea and coffee station is available in the lounge. A breezeway/patio joins the bar and lounge to a second building that houses the dining room, a TV lounge and small reading area. You will be able to get internet and cell phone reception with free Wi-Fi. 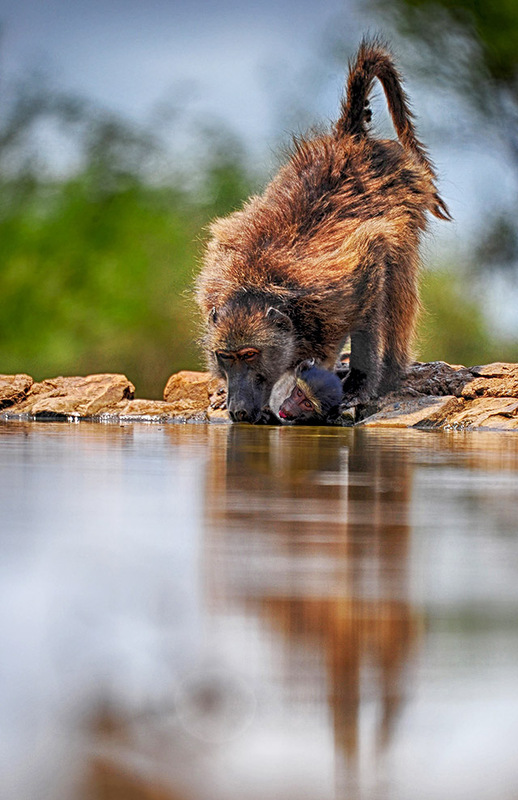 After returning from your early morning game drive, you can enjoy a wonderful spread for brunch; fresh fruit juice, yogurts, cereals, cheese, cold meat and biscuits- then a hot meals of eggs of your choice, bacon, sausage, grilled tomato, mushrooms and toast are on offer. 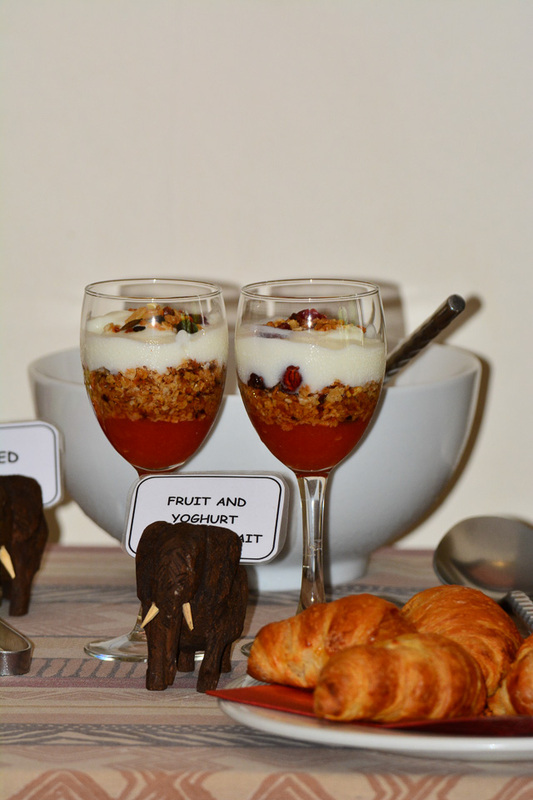 Afternoon tea is served just before the afternoon game drive goes out. 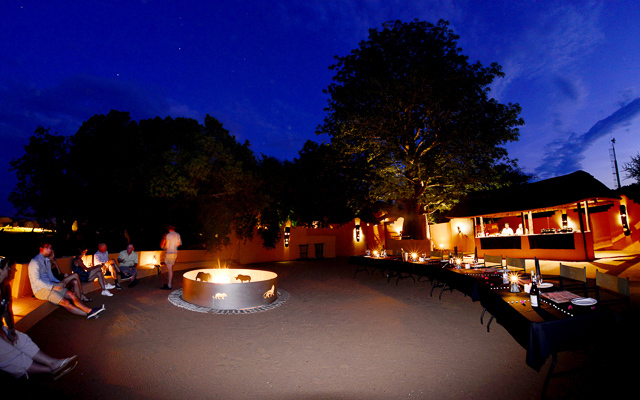 The bar serves snacks and a drink just before dinner and is a great place to share your game drive stories. The food at The Bush House is great!! 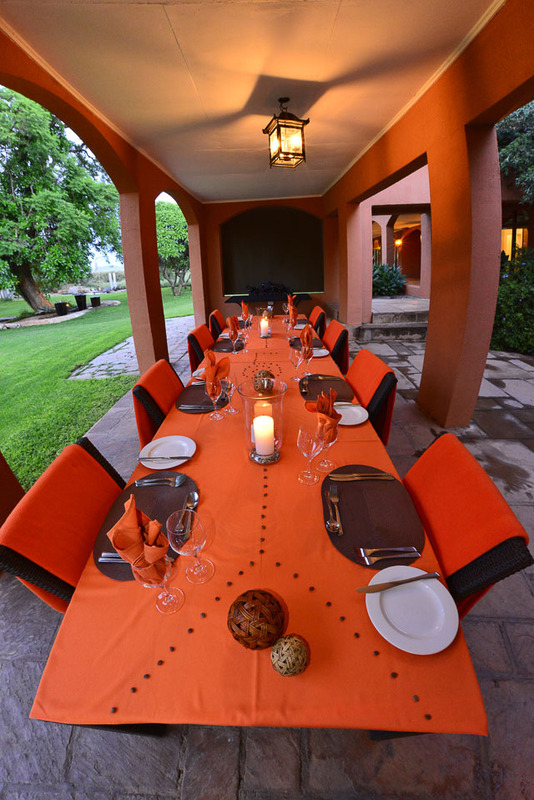 And each meal is served in a different venue; dining area, breezeway and patio overlooking the garden and waterhole or in the wonderful boma. 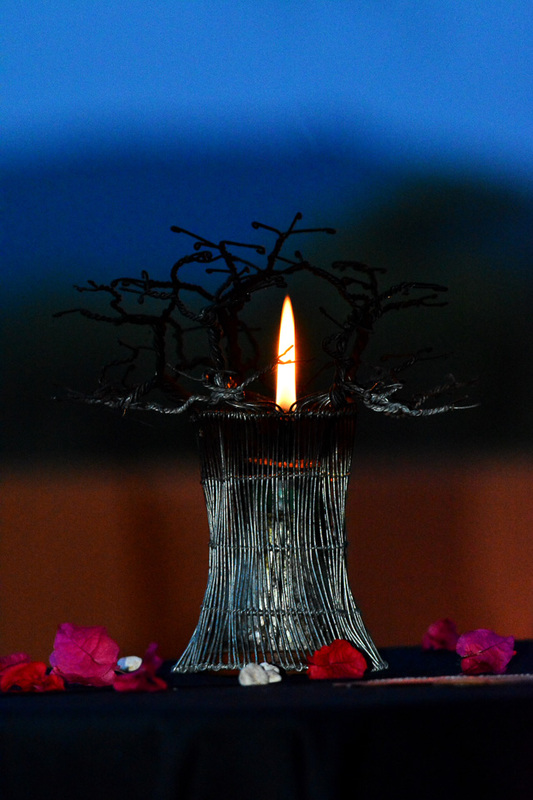 We loved the boma dinner as the boma has so much character with the many African masks on the walls and the large baobab tree that stands proud in the corner (the one and only baobab tree in Madikwe!). 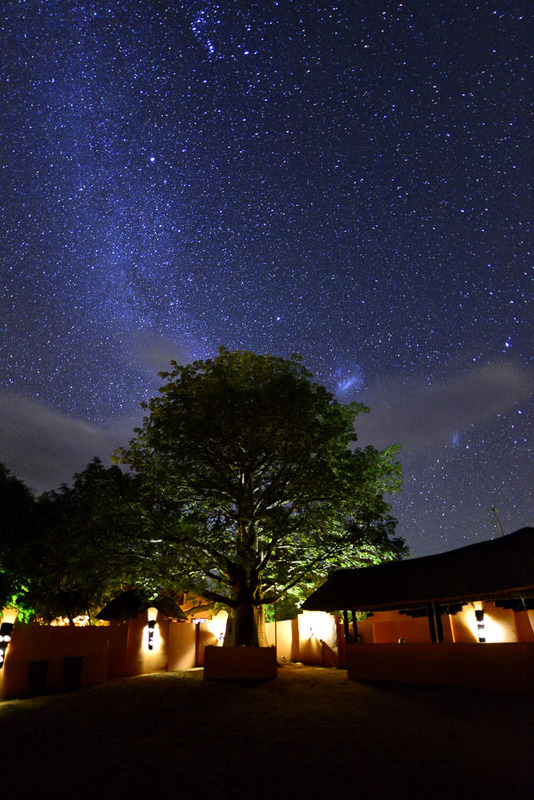 We had chicken kebabs, lamb chops, boerewors, salads, veggies, oxtail and for desert we had malva pudding with custard, under the stars! Mario and I loved the oxtail (one of the best we have had!) and so did many of the other guests, but every meal was delicious, well presented and served with a smile! 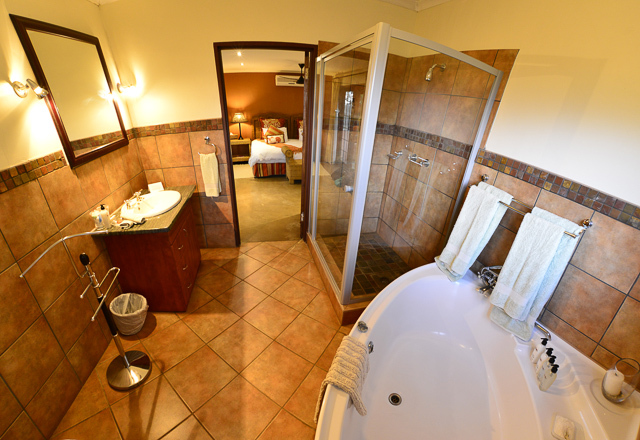 The 6 beautifully appointed suites are joined to the main lodge; each with an en suite bathroom, shower and a bath, air conditioners, fans, hairdryers, safe and a tea and coffee station. 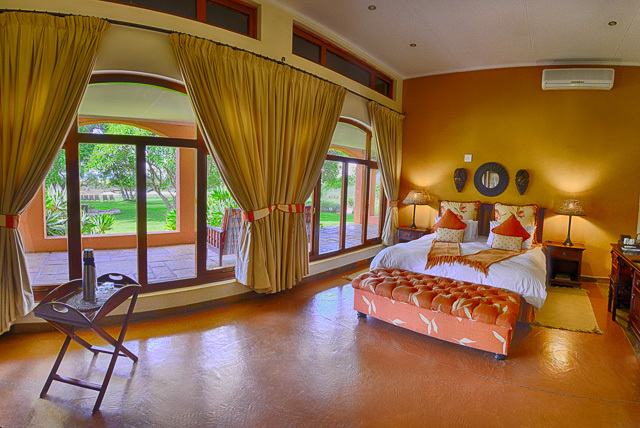 They are spacious and beautifully decorated; 4 suites have their own verandas, one has the sound of the soothing water feature in the court yard while the other has a view of the garden and waterhole. There are two games drives; one early morning and the other leaves early afternoon, or you can take a nature walk round the fenced lodge grounds. 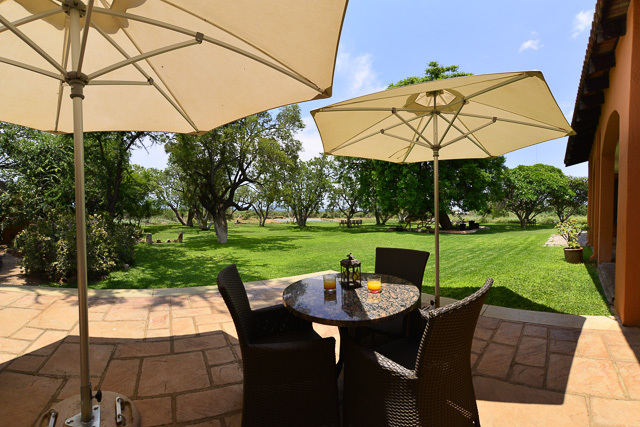 Another option is to relax in the shady garden or around the sparkling rock pool on the loungers while watching the animals come down to drink at the waterhole. 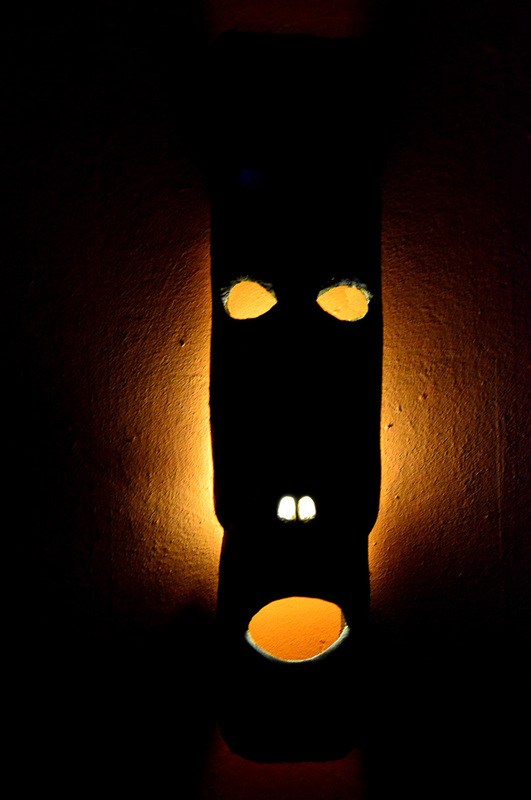 ...or sit in the lovely underground hide that offers eye level views of animals drinking. 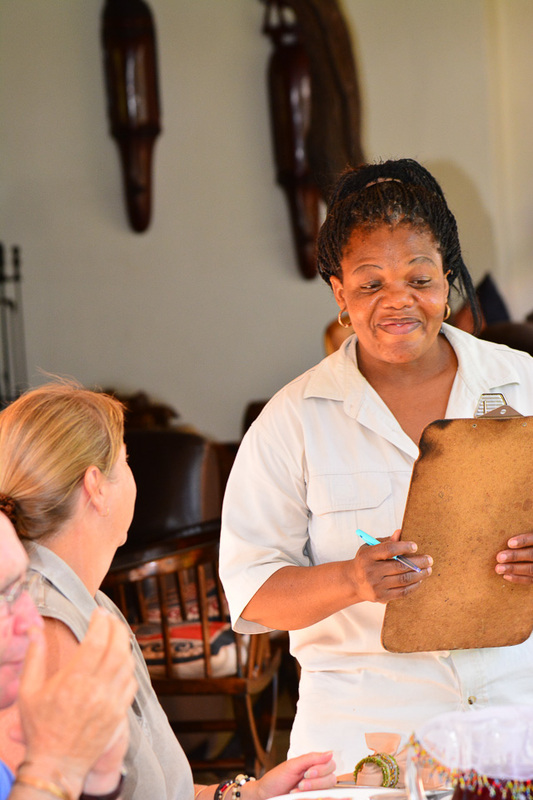 The hide is the brainchild of Sue and Gordon and is the only one of its kind in Madikwe Game Reserve. This underground hide overlooks the waterhole in front of the lodge and can comfortably fit about 4 people sitting and another 4 standing and the hide is also wheelchair friendly. 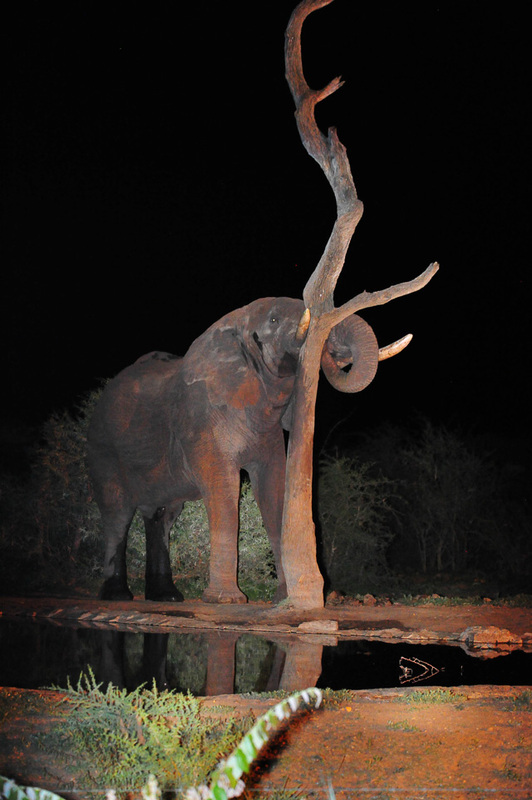 The waterhole is floodlit so game viewing is no problem for night time photographers. The hide is accessed from a path within the lodge grounds next to the rock pool, so you will be able to walk safely to the hide during the day or at night. 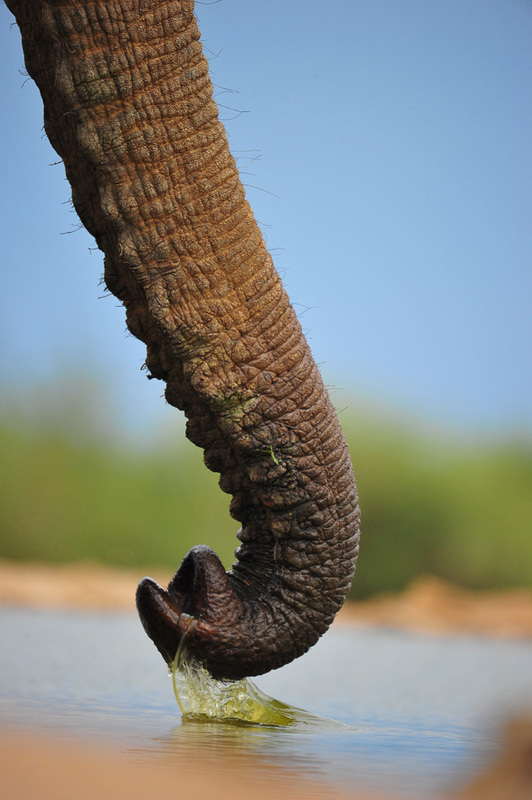 We had some really wonderful sightings from both the underground hide and from the top overlooking the waterhole. 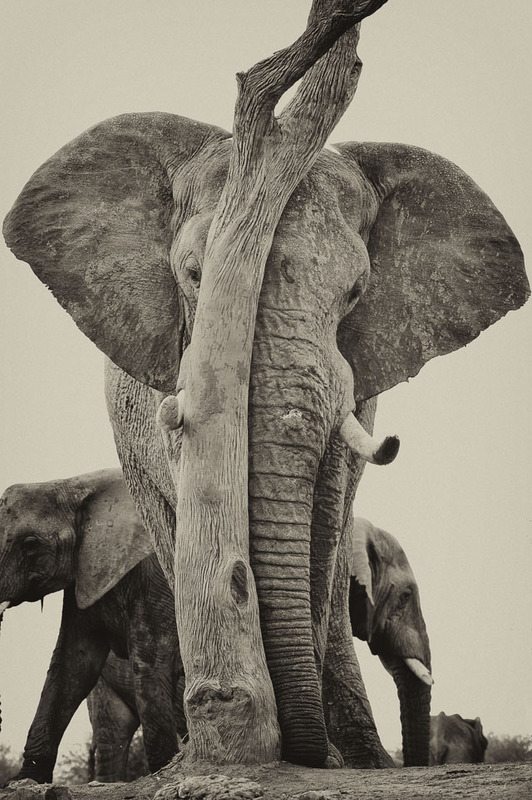 Large herds of elephant came down to drink multiple times every day - we would see between 3 and 4 different herds plus a few male bulls that would entertain us. 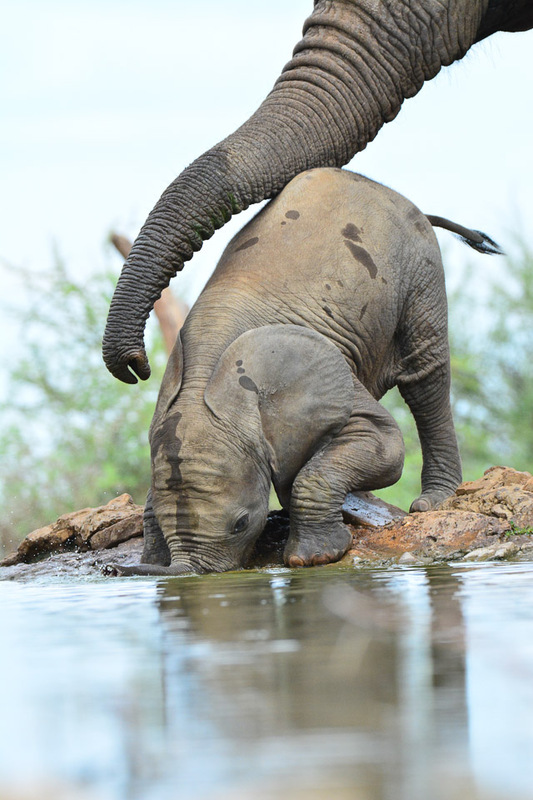 We watched in fascination as a few of the herds of elephant came to the waterhole for a pool party, it was great fun watching the little ones splash around the water’s edge with their trunks, while the large youngsters waded into the waterhole to become totally submerged in the water. 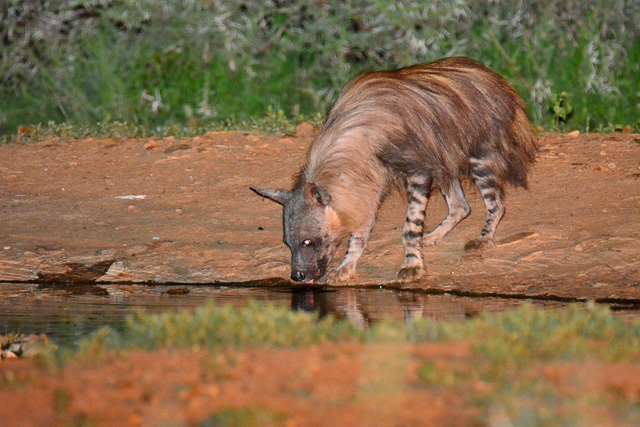 The shy brown hyena kept us on our toes as he would sneak past the waterhole - if you were in the hide you could miss him because he did not like to come and drink, but at 10pm on our last night he popped down for a very quick dink before disappearing into the night. 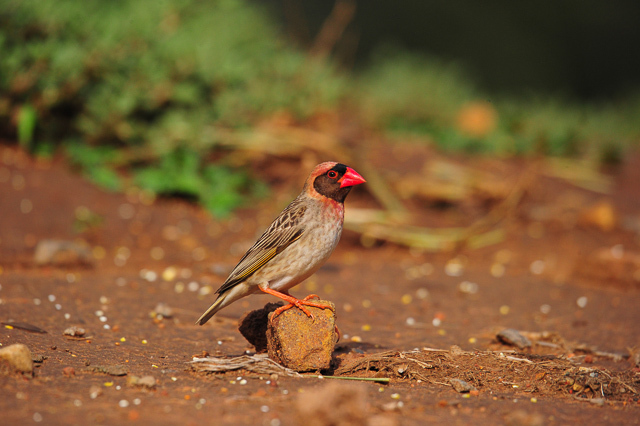 Zebras, a family of warthogs, impala, baboons, kudu and a pair of Egyptian geese with their three offspring, the blue Waxbills and the Redbilled Queleas entertained us so much during our 3 day stay at the Bush House. Thank you to Sue, Gordon and the Bush House team for 3 wonderful days. 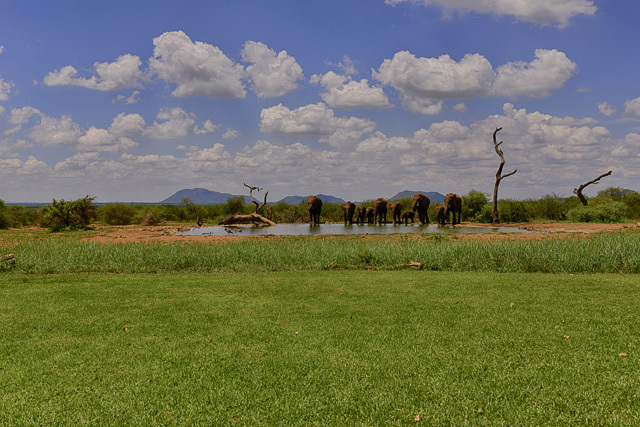 If there was so much activity at the waterhole in summer we cannot wait for our next visit in June!